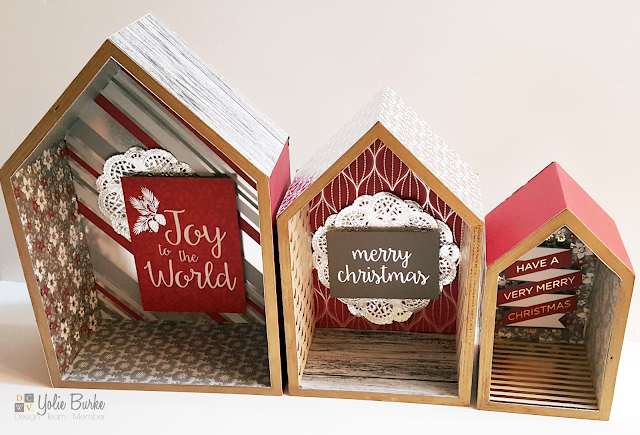 'Tis the season for crafting! 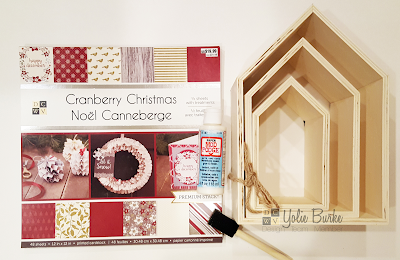 Hello this is Yolie with the Social Media Design Team, coming to you with an altered Christmas project featuring the Cranberry Christmas Stack (available at Michaels Stores). I altered some Spring-shaped wood houses I purchased on clearance, but I am certain you can find similar ones at your local craft store. You will also need Mod Podge, a Fiskars paper trimmer, a sponge brush, ruler, scissors, Glue Dots and acrylic paint. I painted all the edges with a copper metallic paint, as it was what I had on hand. While the paint dried, I measured and trimmed the pieces to the houses using different pattern papers. 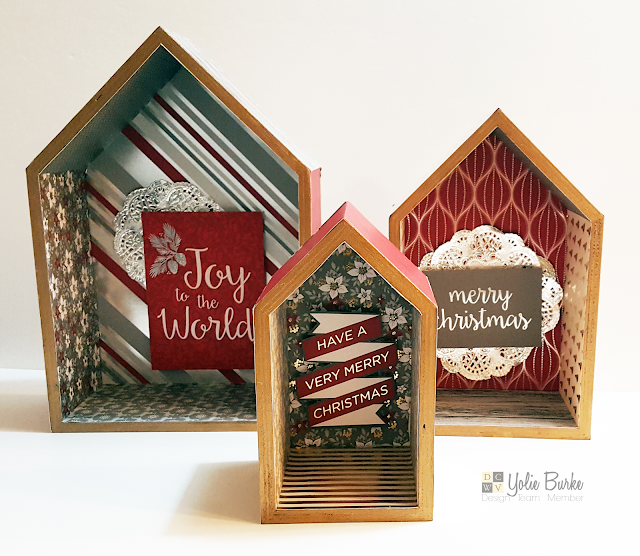 I used matte finish Mod Podge and glued the paper to the inside and outside of the wood shape houses. 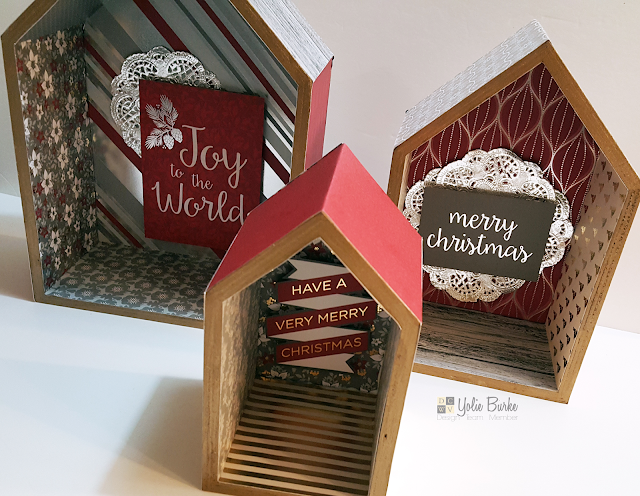 I used the cutout sheets included in the stack to decorate the inside of each house and adhered them in place with Glue Dots. 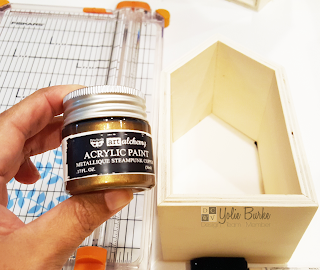 'Tis the season for crafting, do you have any special projects in mind? Do any of them include altered wood projects? Either way, please share them on DCWV's Facebook page, we would love to see them. Thank you for visiting and Happy Thanksgiving!